There are no set rules for B2B marketing. Target markets vary by geography, verticals and many other variables. To successfully target customers, B2B marketers must develop a plan that addresses their prospects with a clear value proposition in a highly targeted manner. This presentation will review methodologies to target business customers, including traditional methods such as direct mail and events, to newer SEM/SEO methodologies. A review on measuring the return on investment of these programs will be considered as well. B2B marketing? That’s what I do! So I paid attention. Here are my notes and thoughts. Michael’s a stickler for planning. I’ve seen it happen, and it’s not pretty when it does. Everyone’s running around executing on tactics that have no bearing on achieving a meaningful goal…a classic time-waster. As an aside, Michael mentioned that the best paper he’s read on strategy is Michael Porter’s “What is Strategy?” Yep, that’s the same Porter as Porter’s Five Forces. 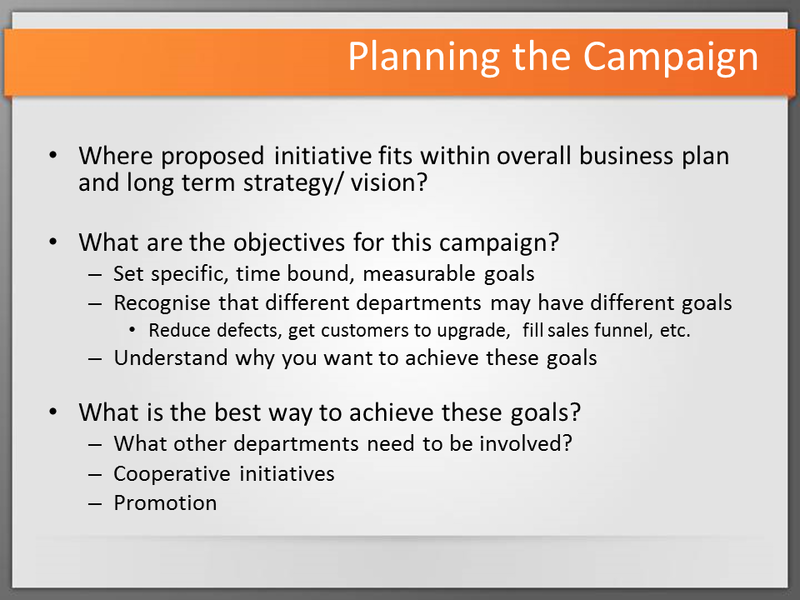 A key test of any campaign idea is to understand how the campaign will move the needle. From there you can ask meaningful questions, like what’s the best way to achieve these goals? And what other departments need to be involved? And so on. Michael goes back to the basics for every campaign, with the 4Ps. What’s the value to your customer? What’s your differentiator? Cut to the chase and make things very clear! What are the key things you want people to associate with your company and/or product and service? What areas of capability and experience are important in establishing you or your company as a trustworthy authority? To be effective, your positioning and message must make an impact, be colourful and creative, show that you understand the customer. 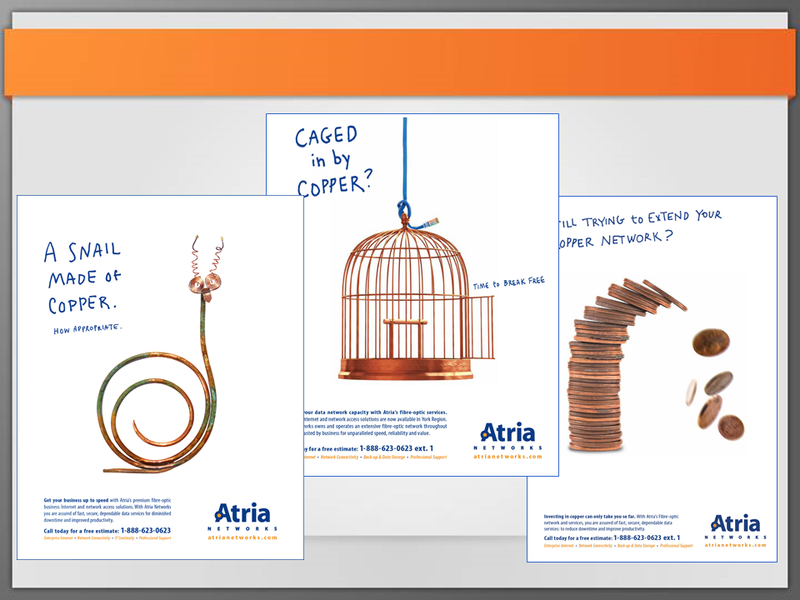 Michael shared some examples from his own past, including Atria Networks’ “copper campaign”. Maybe not everyone who saw this campaign ‘got it’, but those in the industry certainly did. The jokes will definitely be understood by telecommunications people, and no doubt this was a memorable campaign. The answer to that question goes a long way to determining the tactics you use to reach your audience. For instance, to reach a certain vertical you might rely on events like tradeshows and conferences. Direct mail (the paper kind) campaigns might be more effective in a limited geography. You can reach individuals (e.g., key decision makers and functional leaders) with personalized campaigns: mailers, ads at relevant bus stops and intersections, cunning use of adwords, etc. You must know your customer base in order to reach them effectively. Beyond that, you have to be able to measure where you’re successful, so that you can understand what led to that success and then repeat it in the future. Another key point, and one with which many companies have trouble, is that you must keenly understand the value of what you’re offering. The complement to this is knowing your customers’ budgets. Get these two aligned, and you can achieve success…if they’re not, then you’ll run into problems. You also need to understand what’s important to your customers. As an example, Canadians tend to be more risk-averse than Americans, so campaigns in Canada can focus on security and safety, while campaigns for the same product in the U.S. can focus on agility and out-maneuvering the competition. In this last of the 4Ps, Michael mostly shared examples from his own career, to illustrate the massive variety of promotional techniques that are available to today’s marketers. He also stressed the importance of being able to track and measure things, like costs, conversions, close rates, revenue, etc. Nowadays, Michael’s focus has shifted almost entirely to search engine marketing (SEM), rather than direct mailers…which probably doesn’t surprise anyone involved in B2B marketing. Sixty percent of the decision is made before the prospect identifies himself. Sixty percent of the decision is made before a call, or an email, or an entry into your lead tracking database. Customers are ninjas now. They are stealthily evaluating you right under your nose. Anyway, a couple of people from my team were in attendance at Michael’s talk, so at least they know that I didn’t make the stat up. …and that about wraps things up. My thanks to Michael for sharing his time and experience with us! I hope you’ve enjoyed this summary!